Through our partner labs in the United Kingdom, GBH International offers comprehensive, fast, cost-effective, fully accredited fire testing service to a wide variety of standards – enabling materials to be evaluated quickly for smoke, toxic gas production, flame spread, heat release and many other fire related parameters. 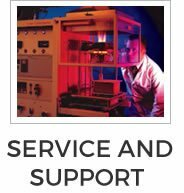 GBH International offers a full range of instruments required to conduct research and to comply with many of the building codes, specifications and regulations in North America (ASTM and NFPA), Europe (European Commission requirements), and the aircraft (FAA) and cable (IEC, IEEE) industries. 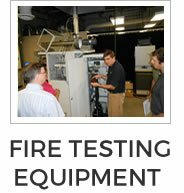 GBH International is the sole North American agent for Fire Testing Technology, the world’s leading supplier of fire test instruments. 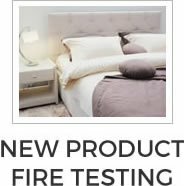 We also provide spares and service (both on-site and via telephone or e-mail consultation) for fire testing equipment manufactured by FTT and Stanton Redcroft. Upgrades and spares for other brands are also available. 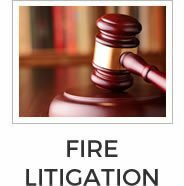 GBH International offers extensive experience and expert witness testimony in the field of fire safety, for legal cases involving the fire performance of combustible materials and consumer products: Cars and Vehicle fires, Upholstered Furniture or Mattresses, Electrical Cables, Textiles and Apparel, Fire Fighter Equipment, Christmas Trees and Decorations, Plastics and Lining Materials.